Far too frequently, Massachusetts residents sustain serious personal injury, or even more tragic are wrongfully killed, because of dangerous and defective products. Under Massachusetts law, which is similar to the laws in many other states, product defects are generally of three types. First, a product may contain a design defect, namely there is something unreasonably dangerous in the way that the product is designed. 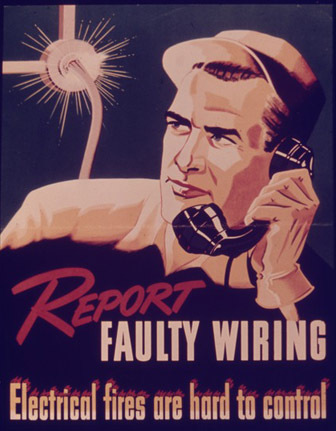 Second, while the design of a product may not be unreasonably unsafe, the product may nevertheless be defective because of an error in manufacturing. 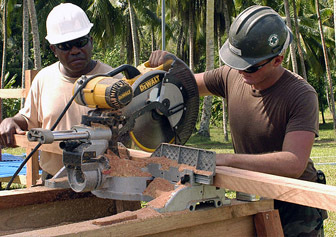 For example, a manufacturer may negligently assemble a product with loose screws. While the design of such a product may not be defective, the manufacturing error nevertheless makes the product defective. Injuries resulting from such a manufacturing error can thus give rise to a meritorious product liability claim. Third, a product may be defective because of a failure to warn. More specifically, a product, by its very nature, may be dangerous, but the dangers associated with the use of such a product can be remedied by a proper warning. Such is the case, for example, with a beneficial and important drug that, however, becomes highly dangerous when taken with another drug. Failure to warn of the dangers associated with the concurrent use of these two drugs can give rise to a legitimate product liability claim, under a failure to warn theory. When a legitimate product liability claim exists, all companies and entities involved in the chain of distribution of the product are potentially liable for all personal injury damages or wrongful death damages that have been suffered. Our nationally respected and known Boston product liability lawyers at the Boston, MA Law Offices of Gilbert R. Hoy, Jr. and Affiliates are experts at locating these companies or entities and bringing them to justice. Such potential defendants may include the product manufacturers, distributors, designers, sellers, and all others who have been involved in the supply chain that ultimately resulted in the personal injuries or wrongful death involved. Our Boston product liability lawyers can help you. Our Boston injury lawyers have extensive experience and skill in handling all types of product liability claims and cases. In addition, our Massachusetts personal injury lawyers have established connections to seasoned experts relating to Massachusetts product defects who will help us win your case. Call Our Boston, MA Product Liability Personal Injury Lawyer Specialists Today at 617-787-3700 or Email Our Massachusetts Defective Product Attorney Experts at info@gilhoylaw.com. 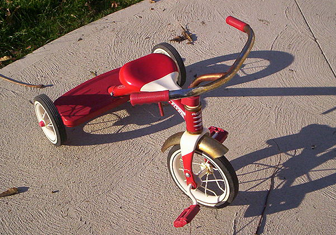 From children's toys to bicycles, any Massachusetts product that results in harm and suffering because of negligence, defect or breach of warranty is grounds for a Massachusetts product liability claim. Design – the way the Massachusetts product is designed makes it dangerous, whether it is the product itself or it's packaging. 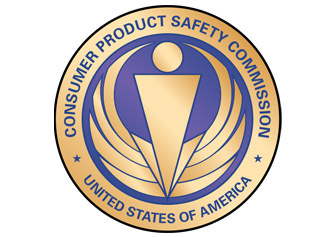 Instructions – the instructions accompanying the Massachusetts product fail to warn the user of possible hazards or the consequences of improper use. 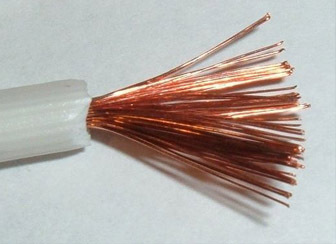 Manufacturing – there is a material used in the Massachusetts product that makes it dangerous, such as faulty wiring, poor construction, or the like. In the event that you or a loved one has sustained a personal injury from a defective product, either as a result of a design defect, a manufacturing error or an inadequate warning about the dangers associated with a particular product, you should take steps to preserve the evidence for your Massachusetts case and call us right away at 617-787-3700 or email our Boston, Massachusetts personal injury lawyers at info@gilhoylaw.com. Our Massachusetts accident lawyers, and one of our experts in the field, will likely be required to immediately investigate the circumstances of your product liability claim in order to make sure that the evidence needed to win your case is preserved and properly evaluated. In addition, our expert product defect attorneys will immediately take the necessary steps to make sure that all witnesses are questioned, which may be both necessary and beneficial to win your case. Your Rights To Bring a Massachusetts Product Liability Claim Will Expire. Act Now. Please Call Our Boston Defective Product Lawyers As Soon As Possible at 617-787-3700 or Email Us at info@gilhoylaw.com. Call our Boston defective product lawyers right away in order to preserve your rights. In addition, we want you to get better. So do not hesitate to obtain professional and appropriate medical attention and care, and be sure to follow the advice and counsel of your Massachusetts health care professionals. There is a Statute of Limitations for filing a Massachusetts product liability lawsuit. If you have been injured or harmed because of a malfunctioning product of any kind, please do not hesitate to contact our Massachusetts defective product lawyers at (617) 787-3700 or email us at info@gilhoylaw.com. We will review your case for free, determine the best way to proceed and fight for the compensation you deserve. The Massachusetts product liability lawyers and Massachusetts defective product attorneys at our Boston, MA law firm have been assisting clients obtain maximum monetary compensation relating to their defective product injuries for over the past 25 years. Common examples of defective products that our Massachusetts attorneys have extensive experience in handling include: defective toys; defective electronics; manufacturing defects in vehicles, motorcycles and ATVs; defective power tools; defective sporting equipment; defective household appliances; tainted cosmetics; contaminated food; dietary supplements; defective medical devices; defective hip implants and faulty surgical screws; and defective medications. We are not content with the outcome of our Massachusetts client’s product liability, defective product case unless our client is fully satisfied that they have received the full and fair compensation to which they are entitled. 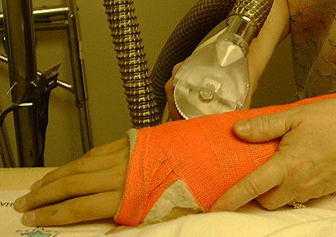 There is a wide range of injuries that a Massachusetts defective product victim can sustain. 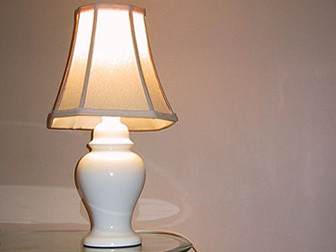 More minor product defect injuries include, for example, slight burns or shocks. Fortunately, many of these injuries are not permanent. Massachusetts product defect injuries that are very serious and, unfortunately, do occur include: amputations, traumatic brain injuries and damage to a Massachusetts victim’s spinal cord. In the worst case scenario, a Massachusetts product defect can lead to a Massachusetts wrongful death. Many of these product defect injuries require very costly medical treatment, including rehabilitation, physical therapy, x-rays and plastic surgery. Our Massachusetts product liability and defective product attorneys have extensive experience in recovering maximum money damages for our product liability clients, generally including medical expenses, lost wages, lost earning capacity, disfigurement and scarring, and pain and suffering. In order to obtain a high damage award for our Massachusetts clients, we begin by gathering all of the available evidence relating to your Massachusetts product defect case or lawsuit. Our Massachusetts product liability and defective product attorneys are highly skilled and experienced in negotiating insurance company settlements. In addition, our Massachusetts product liability lawyers and Massachusetts defective product attorneys are experts at avoiding litigation, as this is often a costly and time-consuming way to resolve a Massachusetts client’s product defect case. The three types of product defects that are covered under Massachusetts product liability law include: flawed product design, manufacturing defects and marketing defects. Flawed product design include products whose very design leads to the injuries of a Massachusetts product consumer. Manufacturing defects include products that are designed properly, but which were rendered dangerous during the manufacturing process. Marketing defects include products that are advertised or sold without sufficient labeling. Due in large part to the fact that our Massachusetts product liability and defective product attorneys have been assisting clients with their defective product claims for over two decades, we are able to provide our clients with outstanding legal representation. Additionally, the Massachusetts product liability lawyers and Massachusetts defective product attorneys at our Boston, MA law firm seek to provide superior client service at all times. In order to achieve this objective, we make it a priority to respond promptly to all client inquiries and to copy our clients on all correspondence. We never act on behalf of a client without first thoroughly discussing the issue with our client and reaching a mutual decision as to how to proceed regarding their Massachusetts product defect claim or lawsuit. If you or a loved one has suffered an injury or wrongful death because of a defective Massachusetts product, please do not hesitate to contact our expert Massachusetts product liability lawyers and highly skilled Massachusetts defective product attorneys at 617-787-3700 or email us at info@gilhoylaw.com. Your needs are our top priority! Our Massachusetts product liability lawyers will be pleased to provide you with a free and confidential initial consultation about your Massachusetts defective product accident. Call us today at 617-787-3700 or email us at info@gilhoylaw.com. Our Massachusetts product liability personal injury lawyers are proud to represent Massachusetts product liability personal injury clients from throughout the Commonwealth. The Boston, MA Law Offices of Gilbert R. Hoy, Jr. and Affiliates is a team of Boston, MA lawyers from some of the best law offices in Massachusetts, including expert Massachusetts product liability personal injury lawyers, who have been personally selected by Attorney Hoy because of their skill, experience and expertise. 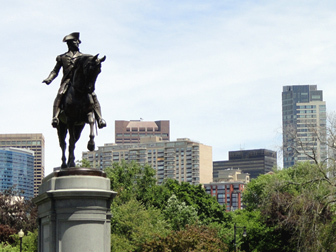 Many of the Boston, MA product liability lawyers who are available to our Massachusetts clients through referral agreements have been repeatedly selected and recognized as among the very best lawyers in Massachusetts and, indeed, the country. With an experienced group of some of the very best Massachusetts product liability attorneys and defective products lawyers that the Commonwealth offers, our Boston product liability law firm and defective products law office is confident that our handling of your product liability claim and defective products claim will go beyond your expectations. Our over-riding goal is to provide you or your loved one with top of the line legal service and assistance with respect to your Massachusetts product liability action and defective products claim, while earning your confidence, loyalty, trust and respect. Our Boston, MA product liability lawyers and defective products law office would be honored and pleased to represent you or your loved one, and we would be delighted to provide you with an initial free and confidential consultation with respect to your Massachusetts product liability and defective products claim. In the event that you or a loved one has been injured or killed as the result of a defective Massachusetts product, the best thing that you can do right now is to hire one of our highly skilled Boston, MA product liability personal injury lawyer experts. If you select one of the knowledgeable and expert Massachusetts defective product attorney specialists at the Boston Law Offices of Gilbert R. Hoy, Jr. and Affiliates to represent you or your loved one, you can be assured that your needs will become our top priority. The Massachusetts product liability lawyers at our Boston, MA law firm will use all of their legal expertise to most effectively handle your unique situation. Our Boston product liability law firm is distinguishable from other Massachusetts law firms because our attorneys are highly compassionate and caring about our clients and we will fight tirelessly on your behalf. Our Boston, MA product liability personal injury lawyer advocates are some of the highest quality Massachusetts lawyers around. The Boston, MA product liability lawyer professionals and Boston, MA wrongful death lawyer specialists at our Boston, Massachusetts law office have represented numerous Massachusetts product liability injury victims and the families of Massachusetts wrongful death victims. If you or a loved one has suffered injuries as the result of a defective Massachusetts product, please contact our experienced Boston, MA product liability lawyer experts and Boston, MA wrongful death lawyer professionals as soon as possible at 617-787-3700 to help you get full and fair compensation for your Massachusetts accident injuries. Call Our Boston, MA Product Liability Personal Injury Lawyer Experts Today at 617-787-3700. Our Massachusetts Defective Product Attorney Specialists are Waiting for Your Call!